Why Software Testing is Critical? Software testing / QA testing is meant to assure the end user about the completeness and accuracy of the software in question. The quintessence of software testing is simply to ensure a bug free application. Software testers check compatibility – they apply a test environment to surf website, mobile devices, and platform – the end result must be a responsive and easy to use application. Today a QA company that can offer the top of the line service while being cost effective. Ensuring software testing of your project may seem like an unnecessary expense, but in the long run will prove to be one of the best investments your business can make. In the several stages of development, software is likely to have errors and bugs, and the cost to fix them would be extremely low if detected early on. Technically qualified and highly skilled testers are the kind of investment that must never be overlooked or undermined. Bigger problems and errors would be a lot costlier and could cause extensive damage to your business. With hackers and phishers becoming increasingly malevolent and vicious, they are wreaking havoc on data and software. The attacks are increasing and progressively harder to combat and untested software is an easy target. Customers provide personal information and data and expect that a business would keep it private, and use it only for the intended purpose. There is a sad history of companies who have faced some serious allegations and have had to pay huge sums as litigation settlement to customers for data leaks and misuse. Software testing ensures that the user gets a trustworthy and safe product, which would ensure the privacy of their data. In addition, in time software and QA testing will eliminate bugs and risks before the product goes to market. Even the smallest software security issues can prove to be the downfall of a great company. A business works hard to conceive and bring to life its vision in the form of a product, hence if it fails all the investment proves to be a colossal waste. The main purpose of a product is value to the users and consistently great customer experiences. 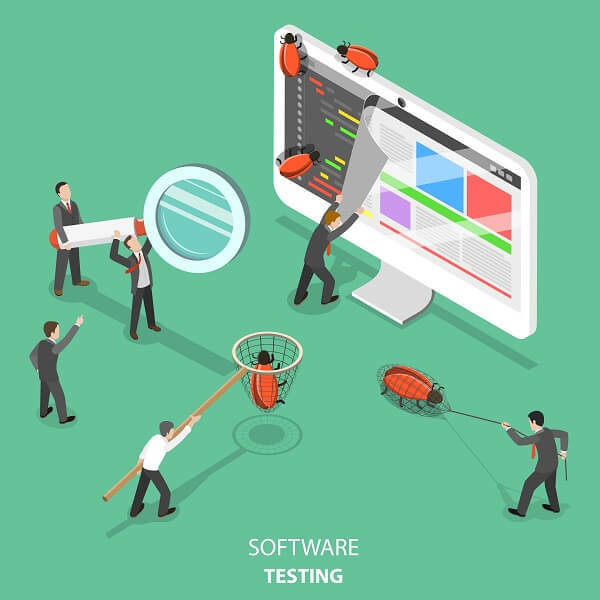 Software testing is thus never conclusive or one time – even if initial issues are resolved, there are chances of unexpected issues to arise in a different part, and with a skilled team of software testers your business can be sure of delivering a high quality product. Such a product would be compatible on all devices, operating systems, and platforms. A top line QA company would always have a range of tools, devices, and methodologies that would cover the maximum testing scenarios. Any business is only as successful as its customers choose it to be. Smooth and consistently great user experiences would lead to high satisfaction levels, which in turn would increase usage of a product. Software testing is a sure shot way to ensure user satisfaction. In a shrinking and saturated market, only the best and most consistent products stand a chance to sustain user attention. Happy customers prove to be the best advertisements and brand ambassadors, spreading good feedback to their friends, family and associates. In a business scenario where customer loyalty and trust are almost impossible to earn, glitches and poorly working products can sound the death knell on a business. Investing in software / QA testing can save your business and make it sustainably successful. A developer might use one browser, while the user may actually use the product in varied browsers – software testing ensures that a product is usable across browsers, and with complete ease. The growth of a business, as mentioned, depends on the perspective of its customers, and software testing plays a critical role in ensuring that this happens consistently for a business. Connect with our specialized and highly skilled team to raise the bar on customer satisfaction and product quality.